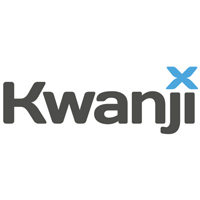 Kwanji is an innovative online comparison site to help you save money when making international payments. It lets you quickly compare the prices of a number of international brokers and within a few clicks you can enter a payment amount and currency you wish to send, then compare a number of brokers rates and fees to see who offers the best price for you. There are no hidden costs as Kwanji are paid a referral fee via the broker you select. They also operate in over 160 currencies and offer local support in over 80 countries. Integration with Sage One Accounts is extremely simple. Kwanji scans it for all unpaid supplier invoices and if you wish to pay the invoice using Kwanji you can utilise their foreign exchange comparison capabilities to get the best price you can. Kwanji will then make the payment to your supplier and pay the invoice in Sage One Accounts.